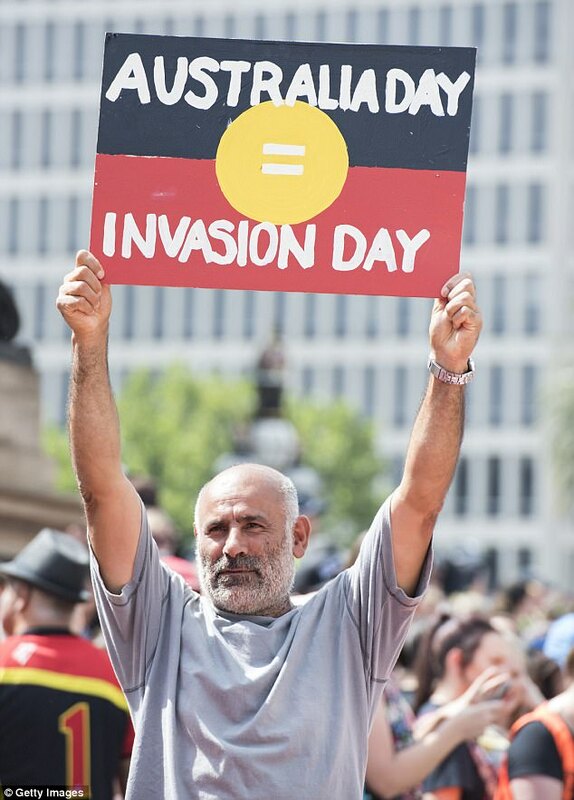 26 January 2018 was a magnificent day of struggle by tens of thousands of Indigenous and non - Indigenous Australian people who took to the streets across the country to demonstrate their disagreement with 26 January as Australia Day. The liberal leaning Guardian Australia published an excellent video clip of all the rallies held in many cities and regional areas. Both major parliamentary party leaders, Turnbull and Shorten, supported continuation of 26 January as Australia Day. Neither of them want to lose any votes on this issue and both of them are comfortable with the whole colonial imperialist reality that has held power in Australia since Invasion Day of 26 January 1788. There are many different views among non-Indigenous people being expressed in the mainstream media and social media on what should be "Australia Day" if it is not 26 January. Historian Humphrey McQueen in a radio interview on the ABC in Adelaide last week pointed out that that the first day for a national celebration was the old Empire Day on a date in May. During the First World War, a day in the middle of the year related to some happening in that war was presented as "Australia Day". McQueen also mentioned some other days of national significance for working people such as the Anti-Conscription wins in the First World War in 1915-16 or the defeat of the Communist Party Dissolution Bill in the early 1950s. Others have mentioned a date to coincide with the swearing of the Eureka Oath at the Eureka Stockade in the early 1850s. Other days that link Indigenous People's struggles and workers struggles such as the strike on pastoral stations in WA in 1946 by Indigenous workers or the walk off at Wattie Creek in the NT against Vestey in the late 1960s have been suggested as suitable dates for Australia Day. (2) the winning by Indigenous and non-Indigenous peoples of an independent Australia free of imperialism and all colonial relics, led by the Indigenous and non-Indigenous working class. Until these two elements are won through struggle, which they certainly will be, a change of date from the 26 January will be a measure of the rising tide of that struggle, or perhaps an attempt to placate it!